A boy becomes embroiled in politics and magic when his country is conquered in this fantastical tale of war and survival, reminiscent of the works of Raymond Feist. Judian is on the verge of adulthood when his smitten brother Wils marries Annora, a beautiful woman who has a mystical knack with animals. But instead of the couple settling into their new lives, Wils must accompany his father to where soldiers are gathering to fend off an invasion. Da entrusts Judian with a mission: if he and Wils don’t return quickly, Judian must take Annora and his young sister Morie up to the caves in the mountains near their home, where they will be safe. Judian embarks on his quest of survival with all the good sense of a farm boy used to managing resources, but he’s surprised to find himself gaining animal allies. 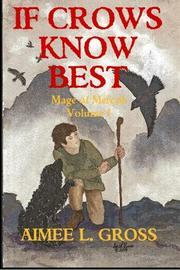 First crediting the appearance of a huge black dog they call Weiser and a trio of helpful crows to Annora, Judian soon discovers it’s his own magic that called them. When Judian and his companions realize that the northwest passage through their mountains, which should be sealed with snow, has been held open by foreign sorcerers to allow troops to invade, they know they have to find a way to get the news to Da and Wils. Judian, an appealing narrator, brooks little nonsense—though some of what he considers ludicrous is a mark of his immaturity. He shows at times overconfidence, but the subtle arrogance of his narration is countered by his admissions of wishing his father would return and fix everything. By far the best developed of the characters, Judian is surrounded by strong women he doesn’t always understand but whom he respects, especially as teachers of magic. This debut YA novel’s fantasy world and magic system, filtered through a capable child’s eyes, are well-designed, with enough clues into the adult power structure to give the impression of complexity beyond what is described. This YA series starter should be a sure hit with adults who favor traditional quest fantasy and younger readers who love the political aspects of Sherwood Smith’s novels.